This event is supported in part by exhibitor fees from companies who have an interest in healthcare and/or military medicine. The cost to participate as an Exhibitor on Sunday, October 28, 2018, is $1000. Exhibitors will be provided a 2’ x 6’ table and admission/dinner for one representative. When you register, please identify yourself by selecting “Exhibitor” and complete the online exhibitor application. As part of the registration process, you will be asked to provide a logo and a 100-word description for inclusion on the registration website. Additional representatives may attend for a fee of $20 per person (dinner fee). You'll be directed to include this information when you register. As an exhibitor, you are invited to set up a table top display (as early as 5:00 pm) and mingle with attendees for the entirety of the reception/meet and greet event, starting at 5:30 pm on Sunday evening. We expect 75-100 members of the society to be in attendance. Representatives from exhibiting companies are invited stay for the presentations. The event will end at approximately 8:00 pm. 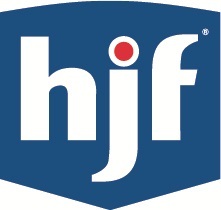 HJF prefers the booth fee to be charged to a credit card as an online transaction. However, if a credit card is not an option, please complete the online registration and select the “check” box when you are asked to submit your payment. Henry M. Jackson Foundation for the Advancement of Military Medicine, Inc. When submitting your application online, you will be asked to acknowledge that you have read and agree to the information outlined in the 2018 SMO Exhibit Space Agreement. The Henry M. Jackson Foundation, a 501(c)3, is a private, not-for-profit organization chartered by Congress in 1983 for the advancement of medical research and education in the military medical community. Our Federal TIN is 52-1317896. If you exhibit at the SMO Annual Meeting, your exhibit fee of $1000 includes six months of advertisement on the Society of Military Ophthalmologists website, where your company logo, 100-word description and contact information will appear as soon as you sign up to attend and pay your exhibit fee. If you wish to advertise on the website, but cannot attend the annual meeting to exhibit, you can still be a sponsor! We’ll add your logo, description and contact information to the website for 6 months for $500. Please register at this website by clicking on the button and identify yourself by selecting “Exhibitor” and complete the online application. HJF prefers the fee to be charged to a credit card as an online transaction. However, if a credit card is not an option, please complete the online form and select the “check” box when you are asked to submit your payment.